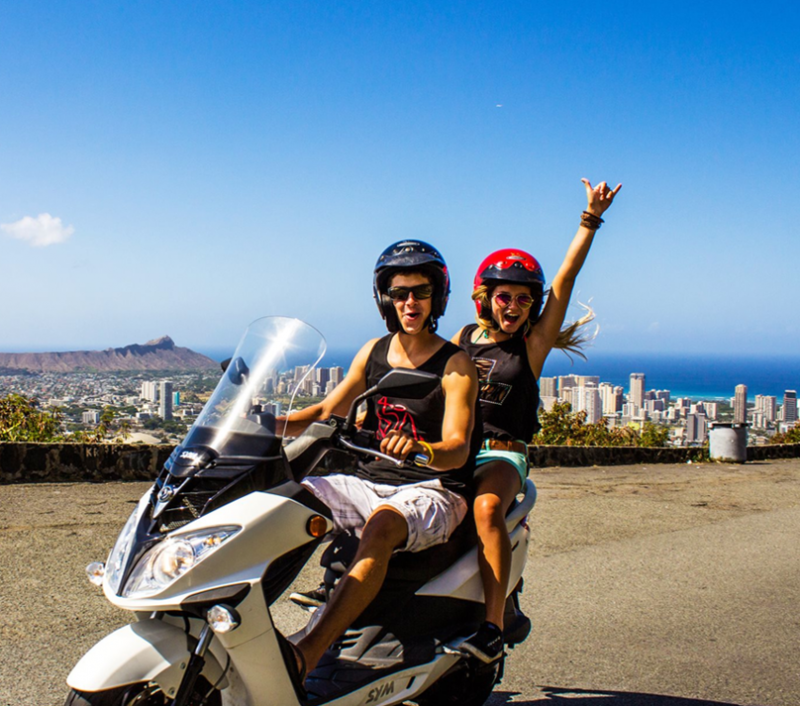 If you’re considering renting a moped during your upcoming Hawaii vacation, you’re in for a treat! Mopeds can be affordable, exciting, and easily-maneuvered, giving you access to all the points-of-interest without sitting in traffic. However, a recent rash of moped accidents has prompted local Emergency Medical Services paramedics to issue a warning to moped-users: be careful and wear a helmet! Hawaii doesn’t require users to wear a helmet, but it’s important you protect yourself, and that means taking every precaution. According to the Honolulu Star Advertiser, since Sunday, Emergency Medical Services paramedics have gone to the aid of four people in separate moped accidents, one fatal, one critical and two serious. Tuesday’s moped accident, in which a 51-year-old Waianae man died, underscores the dangers associated with mopeds. Moped accidents have been averaging two a month on Oahu, with 20 so far this year, totaling 24 injured, according to data gleaned from EMS media reports. Of those 24 injured in 2015, one died, three were critically injured, 16 were seriously injured, two were in stable condition and one declined to be taken to the hospital. They range in age from a 4-year-old boy to a 77-year-old woman. The Honolulu Police Department says many of the accidents are single-moped accidents. “For decades, paramedics have treated traumatic injuries caused by moped crashes, and still just today we responded to two separate crashes where both riders weren’t wearing helmets,” Enright told the Honolulu Star Advertiser Monday. A motorcycle industry professional who asked that his name not be used said moped use is fraught with danger far more than motorcycle use for two reasons: Moped drivers are not required to take a certification course as motorcyclists are; and mopeds often exceed the 35 mph maximum speed allowable by law because they are frequently equipped with after-market parts that allow them to travel up to 50 mph. 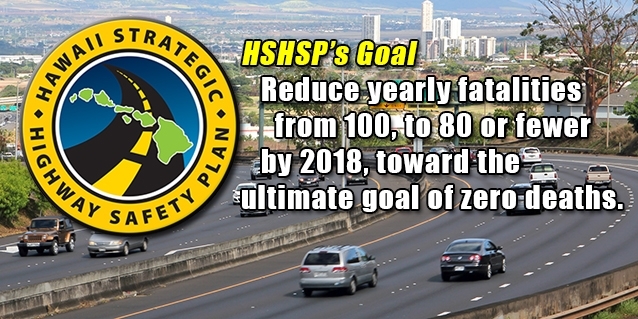 The Hawaii Government is on a mission to reduce transportation deaths to zero, and you can help by staying safe. Moped operators are required by law to follow the speed limits and must have a driver’s license. Several of the crashes this year were single-moped crashes. EMS reports say in some cases the moped operator lost control, sometimes striking a stationary vehicle or a guardrail. Others were hit by a vehicle. By following these words of advice, you can enjoy your moped experience AND stay safe. Or, consider taking a tour of Oahu in a custom Jeep with Hawaii Jeep Tours, during which you can experience the island with the help of a skilled professional!